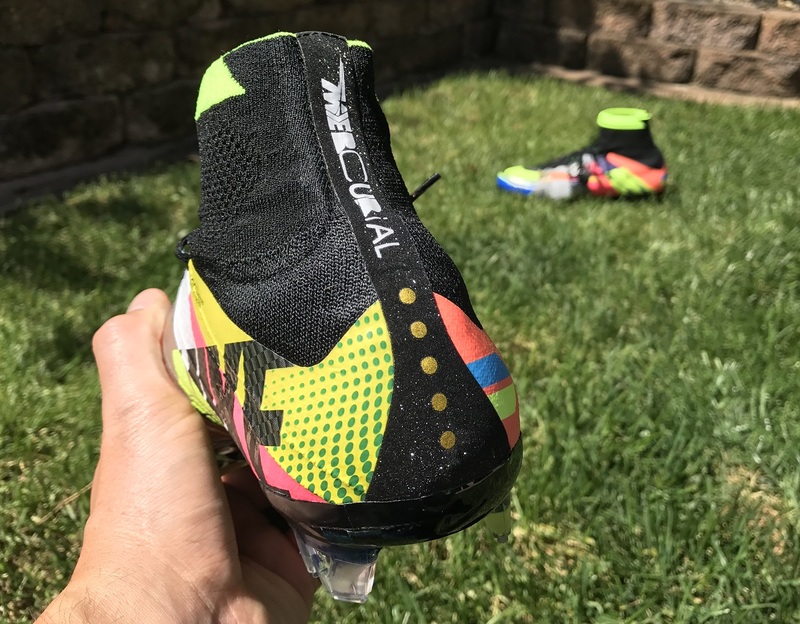 It is not often that we get to go back in time and revisit a super limited edition boot like the What The Mercurial with the boots actually in hand! 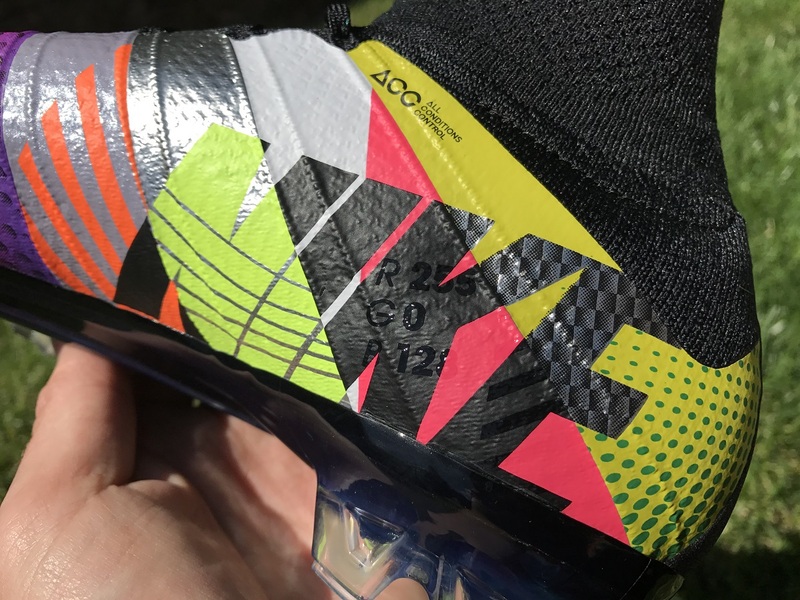 Thanks to soccer.com, who sent them over as a special gift to commemorate the release of their newly updated website, we get to take a look at the Superfly V boot designed to be a celebration to speed. 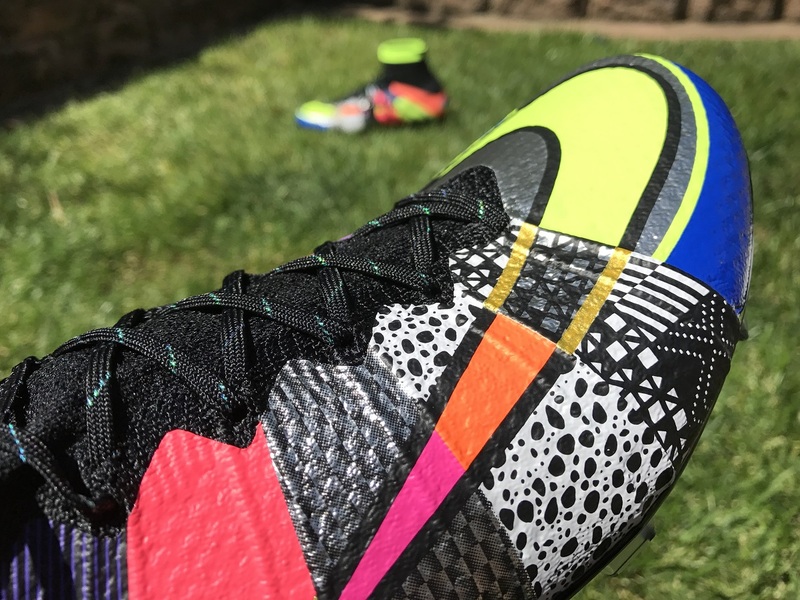 It was almost a year ago when Nike released 3,000 pairs of “What the….Mercurial” to the market. The immediate reaction from fans pretty much matched the name of the boot! In total, there are 16 of the most distinctive and striking colorways used from the entire line-up of Mercurial boots used. Individual slices are layered right across the upper, merging together in a block style to create on of the most iconic releases you will ever see. One of the first things of note is that they are spectacular right from opening the box. 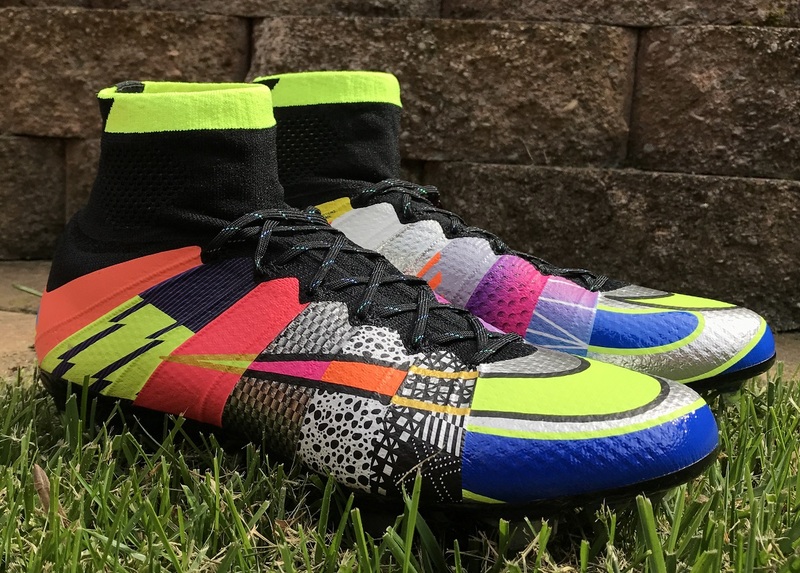 Nike has lined the inside of “What the Box” with a pattern that compliments the boots. Along with the boots you also get “What the Bootbag”, which is gloriously lined with a history timeline of Mercurial on the reverse side. The bag alone is easily one of my favorite to date. Each piece adds an extra element of exclusivity to a release and immediately gives you something to focus on before you even get to the actual boots. If you are looking to try get a pair, your best shot is on eBay . Complete with a new traction system featuring twin studs at the back and an overall asymmetric design for quick release from turf, the 2012 Mercurial Vapor VIII was built for explosive speed. A thinner and more responsive Teijin® Microfiber upper, with a suede-like finish, ensured a coveted touch while the bright mango colorway with blue glow and volt accents provided arresting style. Delivered fast, responsive performance, thanks to NIKE SENSE adaptive traction and a carbon-fiber chassis. Nike Flywire technology in the upper offered ultra-lightweight support while the boot’s striking red plum, volt and black colorway and graphic heel treatment helped increase visibility on the pitch. Introducing touch-enhancing Nike Flyknit on the upper for the first time. 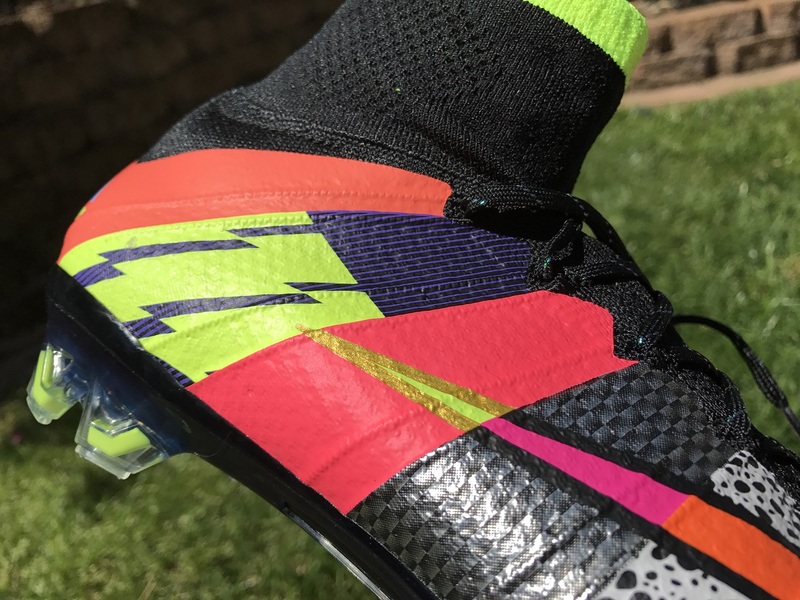 Additionally, the boot’s new mid-top Dynamic Fit collar provided a locked-in fit, improving connection between the player and the boot. A hyperpunch, volt and the metallic gold palette added aesthetic impact. The limited-edition boot, constructed entirely from carbon fiber, weighed just 185 grams and inaugurated a new era of innovation in soccer. Upper crafted in Italy, the plate engineered in Germany and the outsole built in South Korea. Ostrich-skin print, designed by Tinker Hatfield, VP of Creative Concepts, NIKE, Inc., the print was first introduced in 1987 on Nike’s Air Safari running shoe. A tonal chevron pattern illuminated under precise lighting, creating a peripheral flash, while the boot’s stud system adjusted its length in response to the surface. 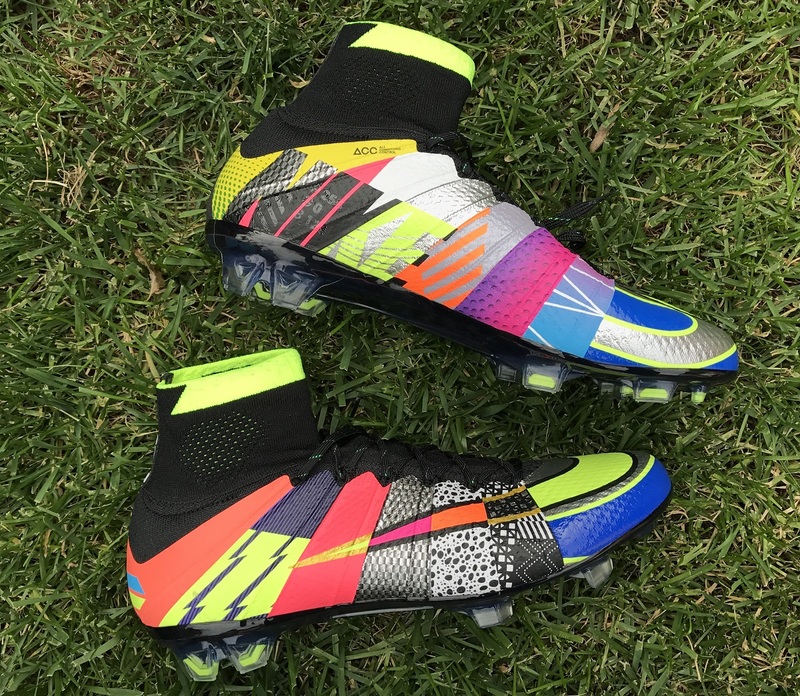 Featuring a black and white palette with a mix of three different prints and a gold outlined Swoosh, the Mercurial Superfly IV BHM launched as part of Nike’s 2015 Black History Month Collection. Nike launched the Mercurial in the summer of 1998. Its thin plate was designed to reduce the boot’s weight and the KNG-100 synthetic upper — thinner and lighter than traditional leather — changed the way football footwear was made. Nike celebrated the Mercurial’s 15th anniversary with the release of the Nike Mercurial IX Special Edition in 2013. This boot was inspired by the original 1998 design, but employed volt instead of yellow for a progressive look and its signature silver received a metallic finish. Windchill colorway featuring NIKE SENSE technology and innovative studs. The white upper with blue glow and red solar accents along the boot’s side provided an icy aesthetic. Fireberry, Electric Green and Black upper debuted Nike’s Speed Control texture, which increased friction when necessary while providing a comfortable, locked-down fit. 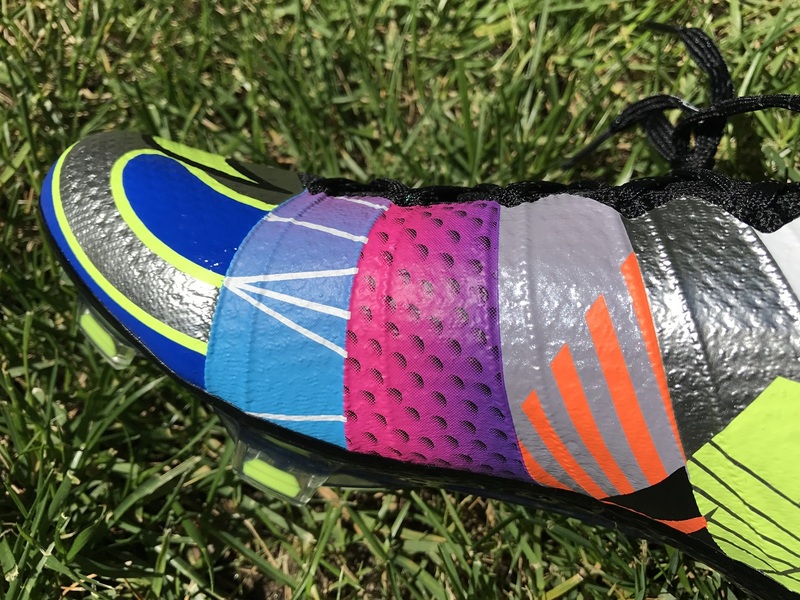 The boot’s metallic mach purple and total orange scheme was inspired by the cheetah and selected after intense investigation revealed that the colors stimulate peripheral vision in game conditions. The boot also featured NIKE SENSE technology designed for acceleration and speedy direction changes. The Mercurial Vapor I, which Ronaldo debuted in silver chrome, black and volt during the summer of 2002, featured a number of firsts. It was the company’s first sub-200 gram boot, first boot with a stitch-less upper and first boot with an anatomical last. 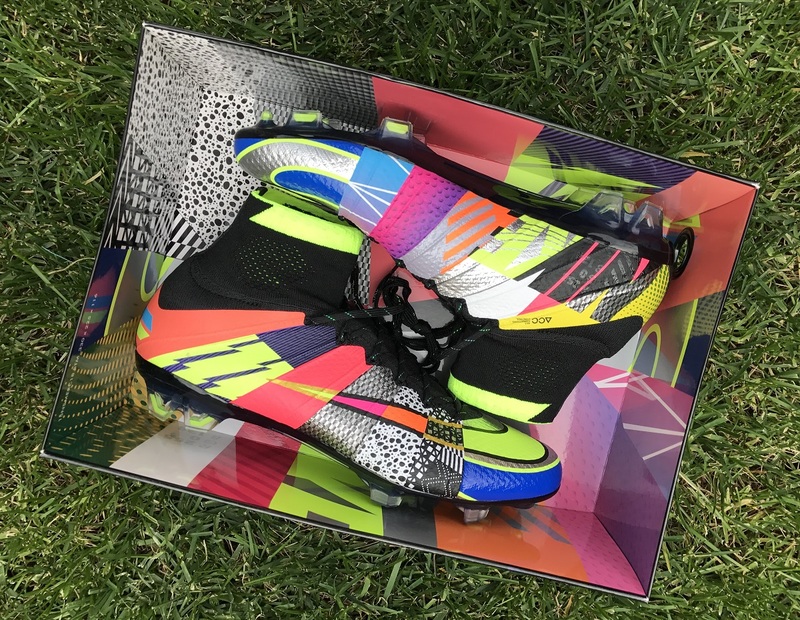 Clash Collection, featured a common theme of a specific color finished with a white toe upper, the Mercurial Vapor VIII was worn by Cristiano Ronaldo.